Here we are with another garden project! I'm normally not this "gardeny", but I couldn't pass up this weeks Wednesday Stamper! 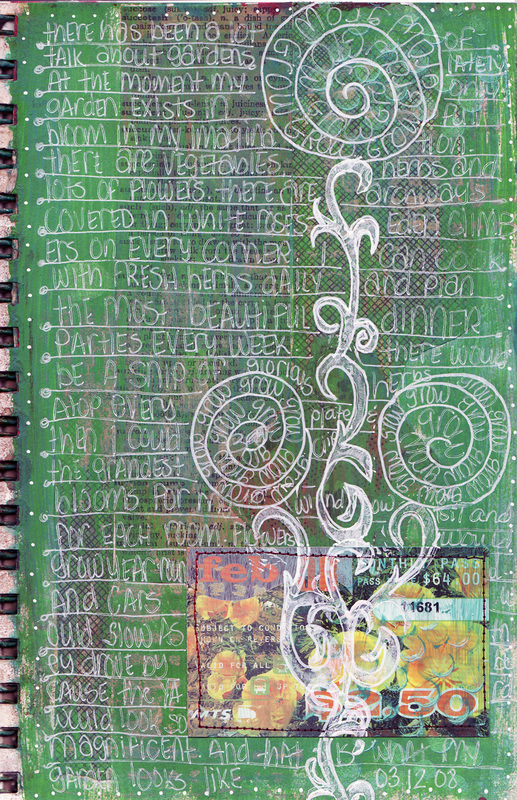 I've been carving little 1x2.5" rubber blocks into vine like doodles and I used two of them on this journal page. I've carved 4 stamps so far; it's really addicting! 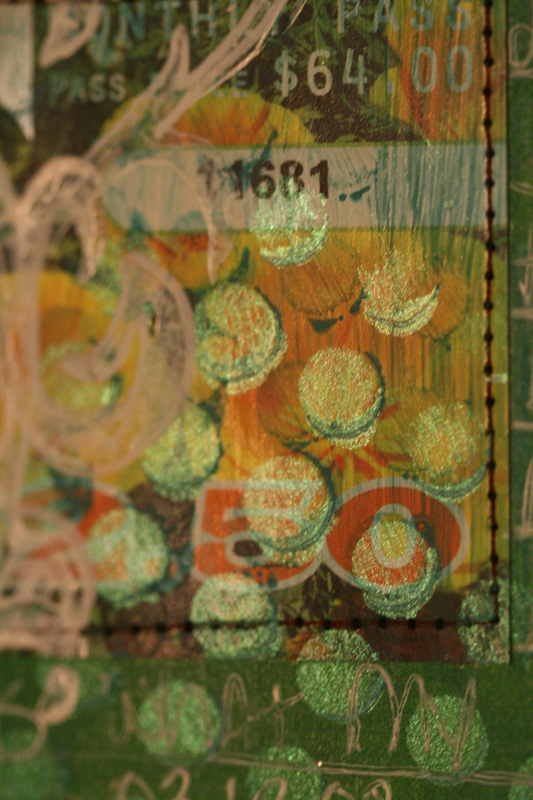 Page close up; Interference Green, machine stitching. I'm still carving stamps! Once I finish, I'll post all of the projects for one great big Street Team post! Thank you all for stopping by today! See you again soon!